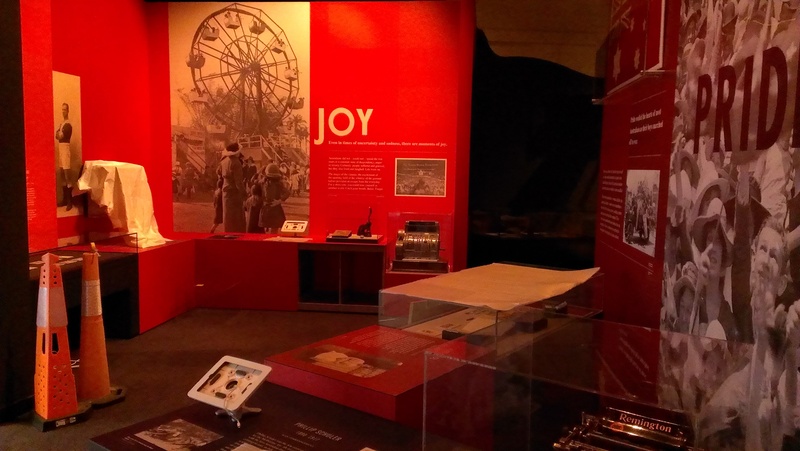 Well the install is complete and the new Homefront show is just about ready to open. One last clean of the glass cases and vitrines and we’ll be set for the exhibition launch tomorrow. It’s fascinating to watch the gallery space change from the construction site it was a few weeks ago to the sparkling and colorful space that it is today. Two weeks ago the last exhibition, Spirited was de-installed and all that was left was a cavernous skeleton of a room. 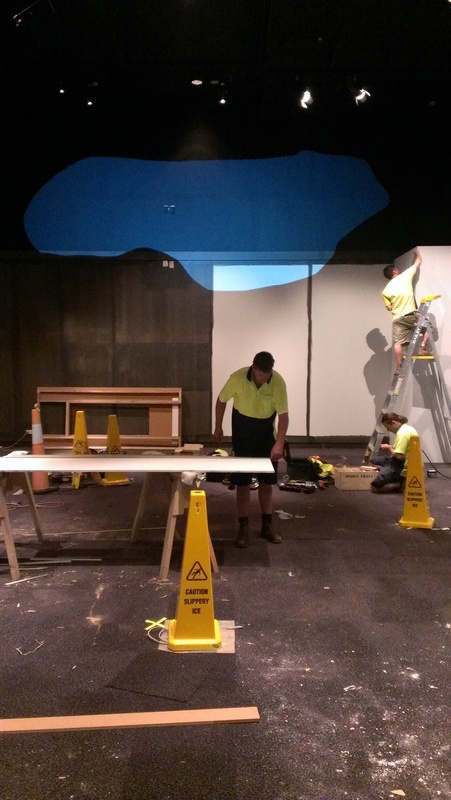 The building crews came in and installed the temporary walls as per the design and then the paint crews took over. 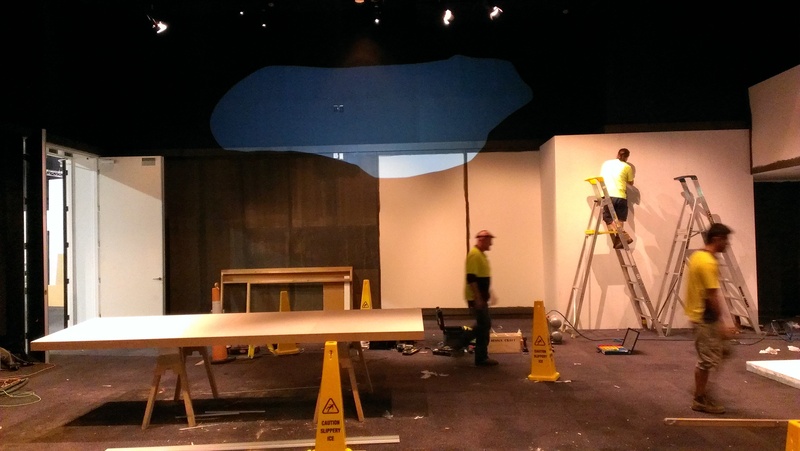 Once the painting crews were finished we could start installing the objects and graphic panels that explain the importance of the objects in relation to the themes of the exhibition. These are the Joy and Sorrow modules with objects and graphics installed but none of the multimedia elements ready yet. 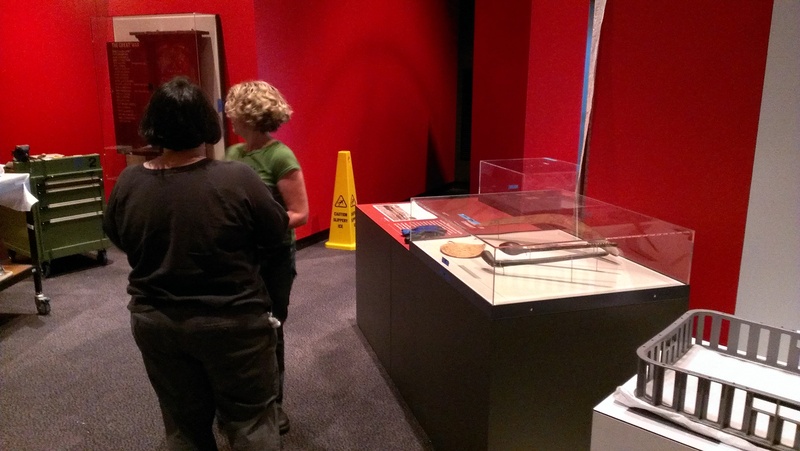 One of the curators and a conservator installing objects in the Pride module. After the objects and text are complete then the lighting specialists take over. 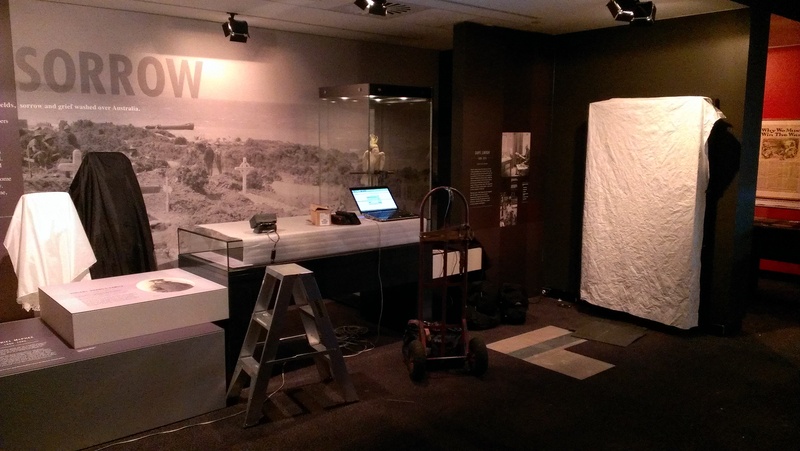 Even in a relatively small space like the National Museum’s studio gallery it takes two full days to adjust the lighting to mediate between highlighting the objects and to not exposing the artefacts to excessive light that will reduce their lifespan. So just a final clean to go and then the opening. I’ll post photos of the completed exhibtion in the next few days.